Paste Magazine's New App = Lots of Gemini II. Our friends at Paste Magazine in NYC have just released an app for iPhone and Android, and it provides access to a truly stunning amount of live music content...and it's FREE. "...our first love has always been live music—the magic that happens when great artists create something spontaneous out of thin air and move people with it. That’s why we’ve spent so much time and effort acquiring and digitizing the world’s largest archive of live recordings—tens of thousands of concerts and hundreds of thousands of songs going back more than 50 years, including the complete archives of legendary promoter Bill Graham, the Newport Jazz and Folk festivals, the King Biscuit Flower Hour radio program, and more. We’re also adding new content to the vault every day with our ongoing recording projects at Paste Studio in New York and at our sister site, Daytrotter, in Davenport, Iowa." Not only is this an amazingly cool thing for ANY music-lover, it's especially cool for us because their NYC-based studio has been using our Gemini II for pretty much all the lead vocals recorded there over the last several years, and the latest recordings also feature several of our V7 dynamic mics as well. 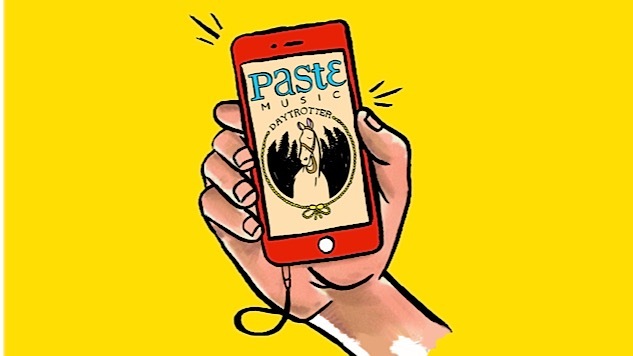 Install the all-new Paste Music & Daytrotter mobile app for iPhone here and for Android here - and check out the Paste Studio sE Artist Page while you're at it! CMJ Music Marathon 2015 at Paste Magazine Studios. This week in New York City, Paste Magazine is hosting a series of CMJ Music Marathon showcase performances at their new studio, with vocals brought to you by sE Electronics. Paste has been a beloved entertainment magazine for many years. This week, 20+ bands will provide intimate live-in-studio performances at their headquarters in Manhattan, and we're proud to have provided a Gemini II for lead and backing vocalists, as well as a matched pair of 4400a mics for guitar amps. The walls of the studio itself are home to hundreds and hundreds of archival recordings that make up just a small percentage of the massive Wolfgang's Vault and Concert Vault archives, and they provide a beautiful backdrop for the artists recording there. Check out the Paste Magazine Instagram account for more photos, and stay tuned for video of all the live performances on their website!